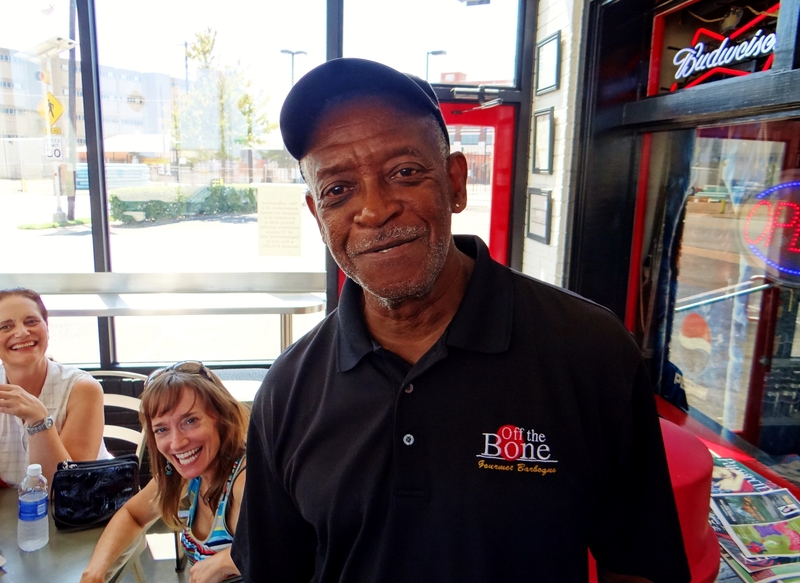 Each weekend I lead several tours across Dallas searching for the perfect bites. Most weekends the tours are chocolate themed as they seem to be the most popular. 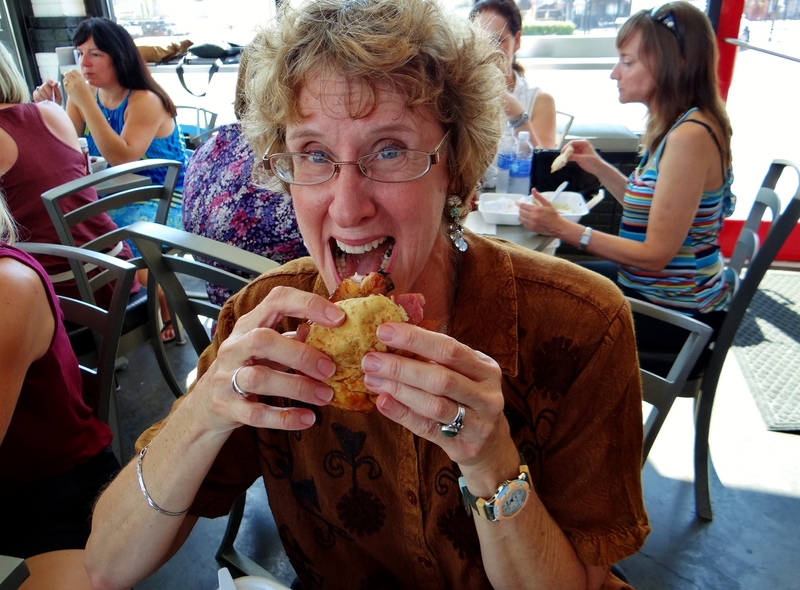 Although I have been leading food tours for several years now in the Dallas area, the thought of doing these professionally, even on a part time basis, seemed odd at best. Were there really that many people willing to give up their Saturday or Sunday to check out a handful of unusual foodie spots around town? Nearly a year ago I was approached by Jeanine Stevens who had a similar thought. Jeanine wanted to start a tour company after her friends insisted it was her calling. Katherine Clapner at Dude, Sweet Chocolate had given her my number and explained how I had been doing these tours already. Shortly after our meeting DallasByChocolate.com was born. Since that time we have been leading chocolate tours around the city, and only recently gave way to the savory tours. Our first was a pizza tour where we visited some of the very best pizza restaurants Dallas had to offer such as Dough on Forest Lane and Union Bear in the West Village. I have been threatening a barbecue tour for nearly a year and last week we finally scheduled one with a sell-out crowd of anxious and hungry guests. At the beginning of the tour I warned the guests that we would be loading up on a lot of meat and they should pace themselves. 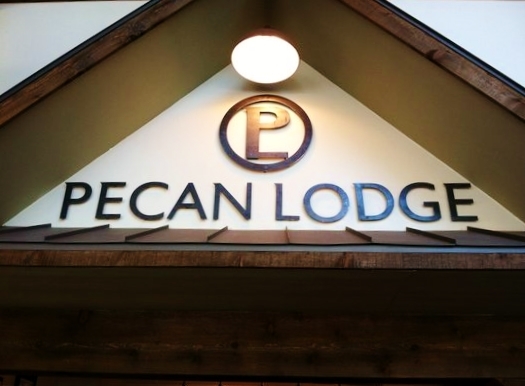 Our first stop was to one of my personal favorite locations for barbecue in Dallas, Pecan Lodge. There the group was able to sit back in the common area and actually be served the barbecue by Justin and Diane Fourton while dozens of people stood in line waiting for their shot at the brisket and ribs. Justin waited until our guests arrived before slicing his briskets and made sure everyone had a taste of his sausage, brisket and a rib. 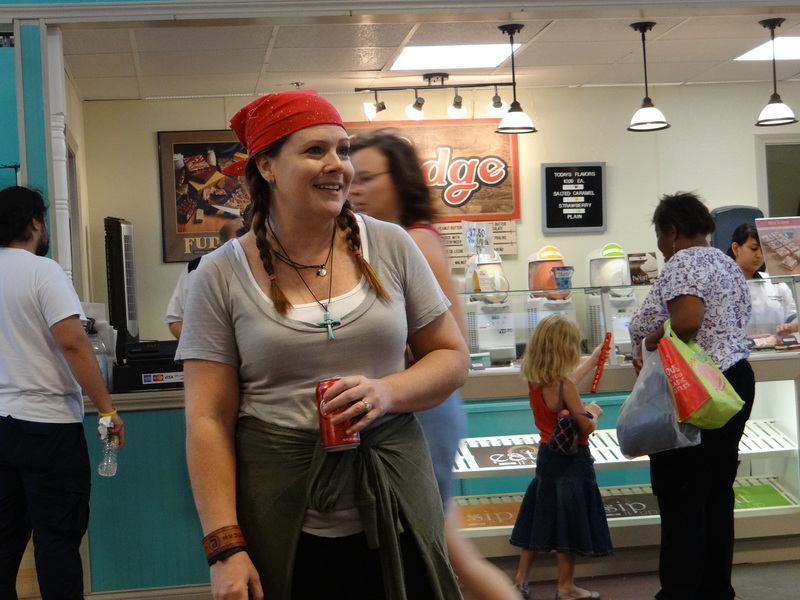 The crowd was ecstatic and eager to move on to the next location which was Mike Anderson’s on Harry Hines. Anderson runs an old school barbecue shop that smokes all night and stays open until he sells out. He runs his patrons through a line cafeteria style as they choose their cut of meats and sides. 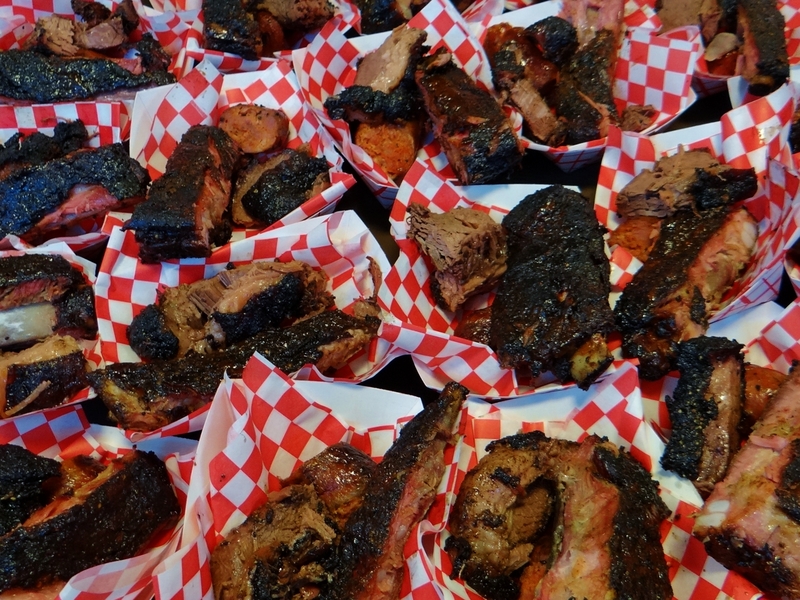 Anderson had a special dish waiting for the tour as he figured every stop would offer straight brisket or ribs. 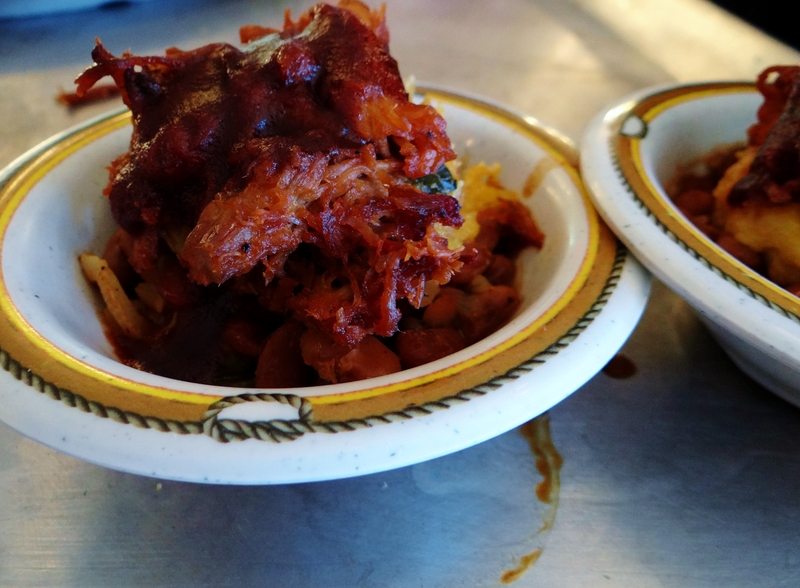 Anderson served the guests a barbecue cornbread pie, which consists of chopped beef and a large slice of fresh cornbread all sauced and delicious. A larger version is actually on his menu and offered each day. 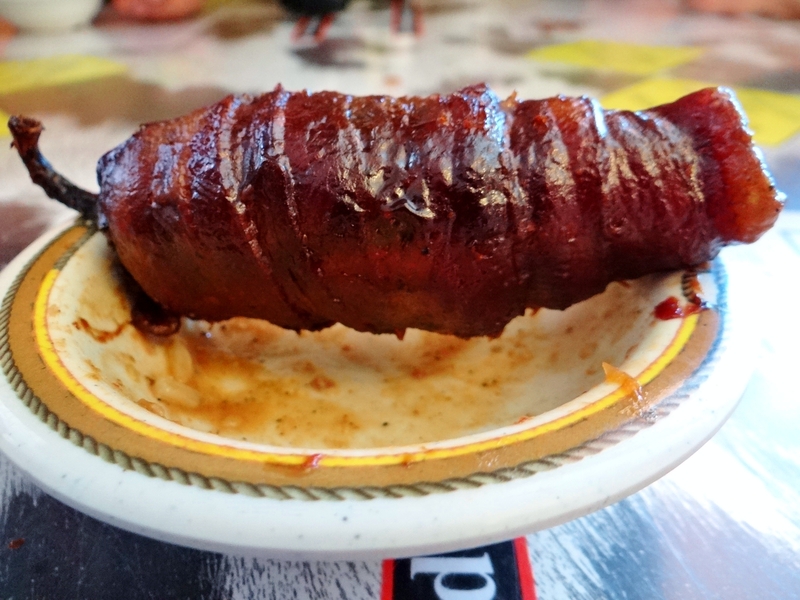 In addition Anderson served a bacon wrapped brisket stuffed jalapeno that was smoked. These are incredible and unlike any stuffed jalapeno you might have tried. 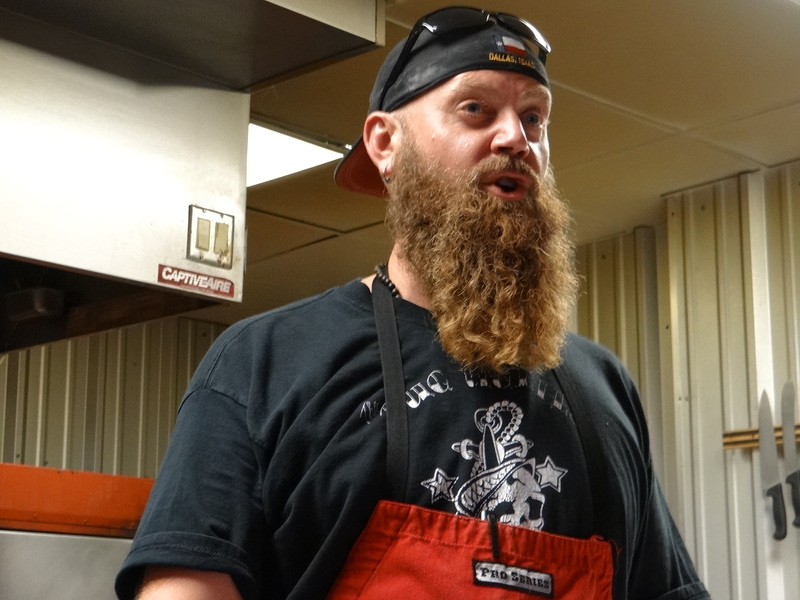 Our next stop was to Lockhart BBQ to visit with pit-master Will Fleischman. Fleischman is actually a trained chef who is now doing barbecue. The man is excited about his craft and explained to the how they make their lip smacking ribs each day. The trick is in the wood he explained. 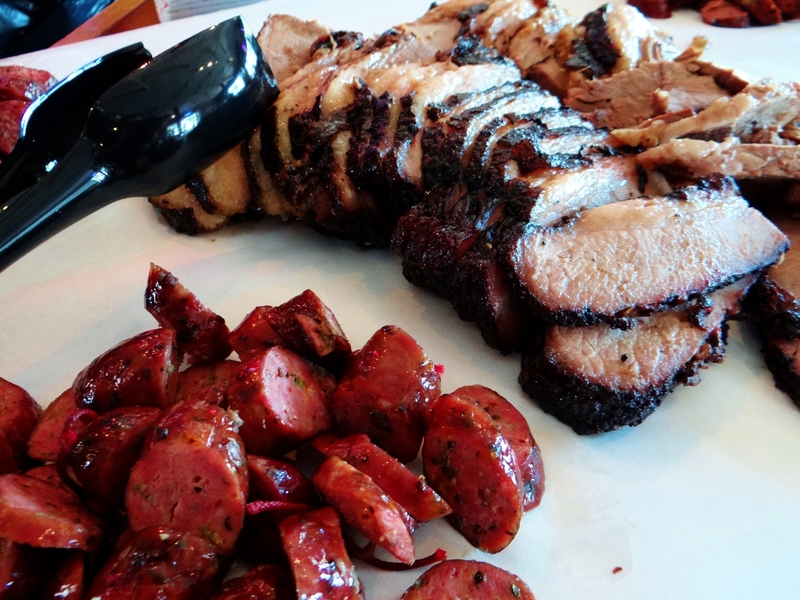 Fleischman served up both his spicy jalapeno and regular Kruez sausages along with a large tasting of brisket. 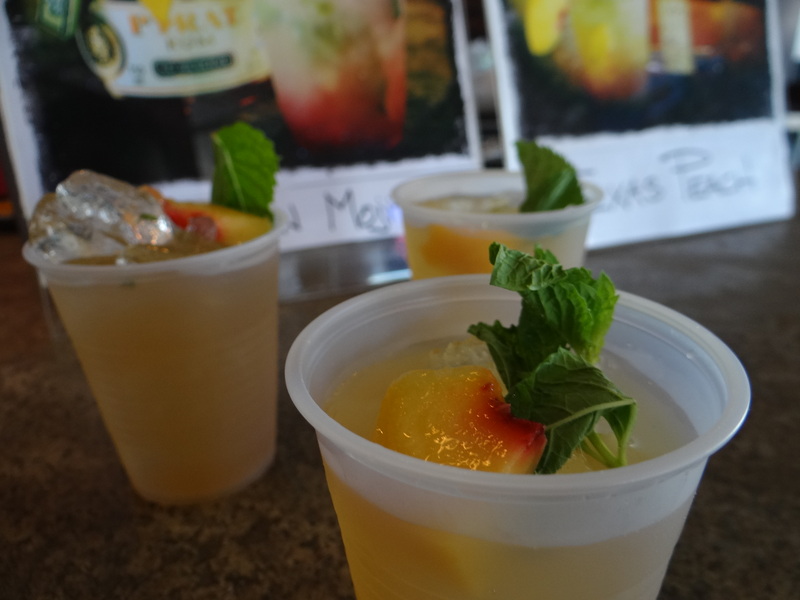 Along with the meats we were treated to several tastings of refreshing cocktails including a peach mojito that cured the heat both from the sausages and the great outdoors. Our final stop, and I have no clue how each gust was able to keep up, was to Off The Bone to sample Dwight Harvey’s spectacular ribs. Harvey is a quiet man, but you could tell he was excited to see his room beyond capacity spilling out onto his patio. 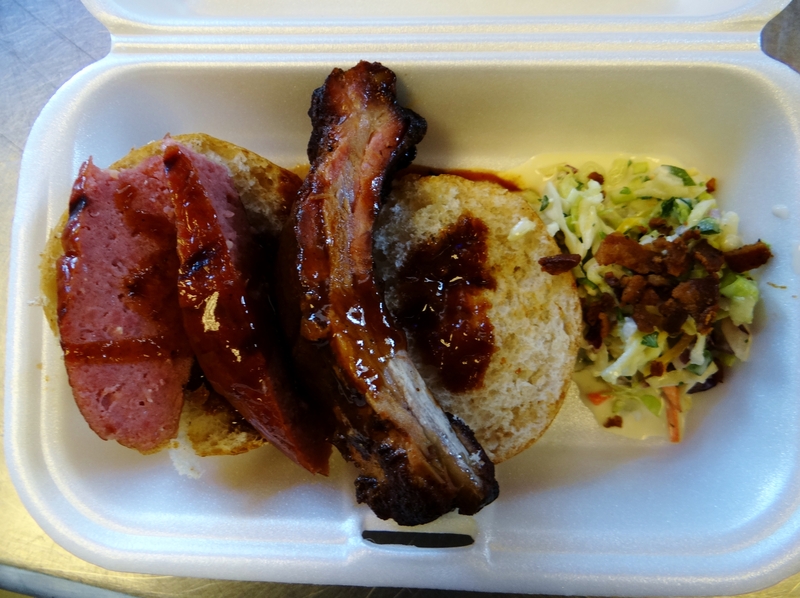 The rib sandwich and blue cheese and bacon Cole slaw was the perfect ending to the day. 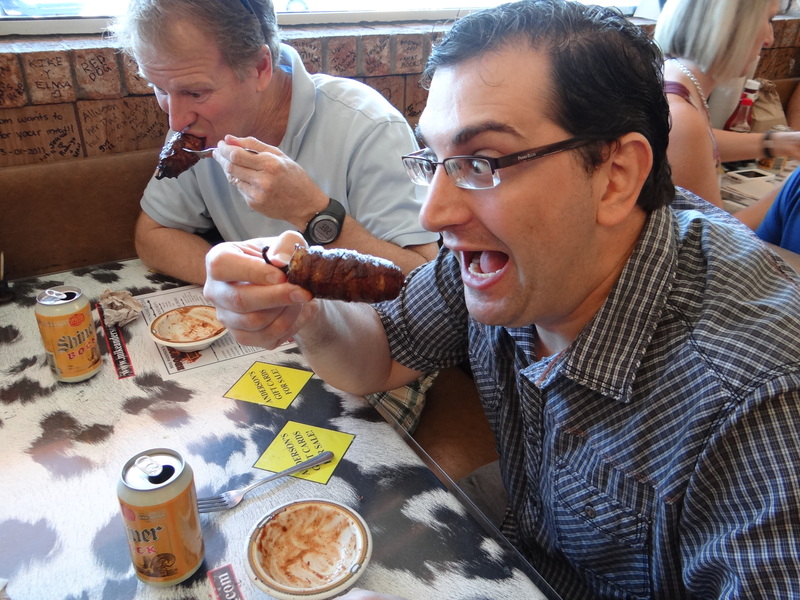 There is another barbecue tour scheduled September 8, 2012. If you check the website there will be many other exciting tours planned including a bacon tour where guests will actually learn how to make bacon and an ethnic food tour. A taco tour is scheduled for this coming weekend and there may be a few seats available for that tour. Dallas is rich with fantastic restaurants and it is everything we strive to do to make sure you find them. You should try any Eddie Deen’s BBQ restaurant: Smokey’s in Ft Worth, Crossroads in Arlington or Kaufman Street in Kaufman. 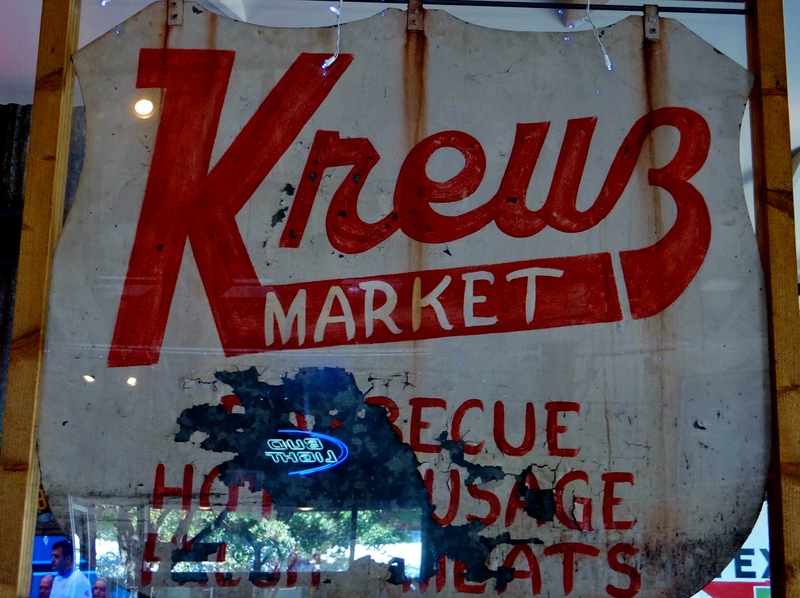 Some of the best BBQ on a homemade bun, killer beans and the Kaufman location has to-die-for homemade pies! Wow, what a lineup. Those photographs are making me really hungry. Perhaps Doyle should consider a weight watchers/salad tour.